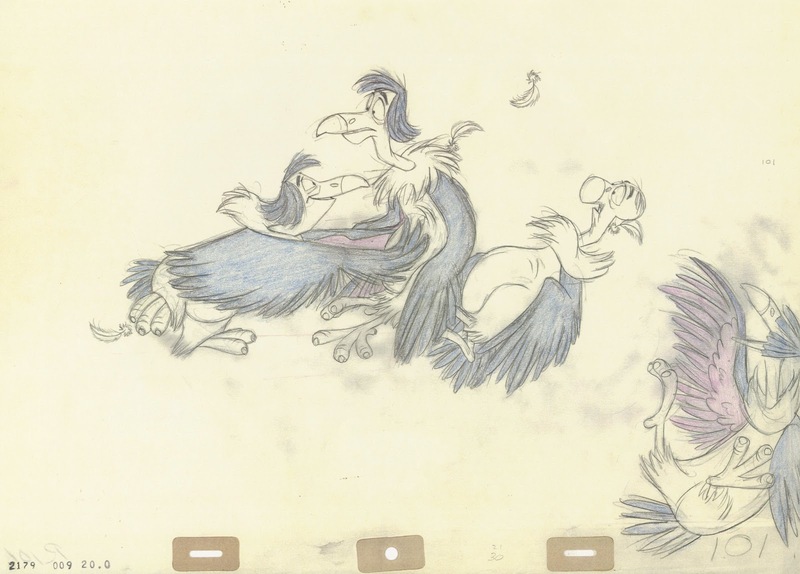 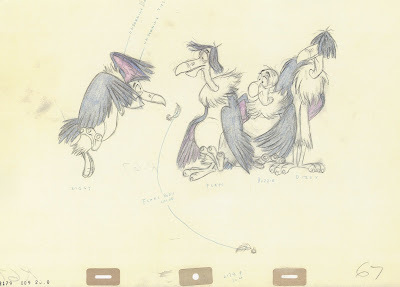 Here is part II of Milt's incredible scene which involves all four vultures. Those two posts only show a few of the main key drawings. 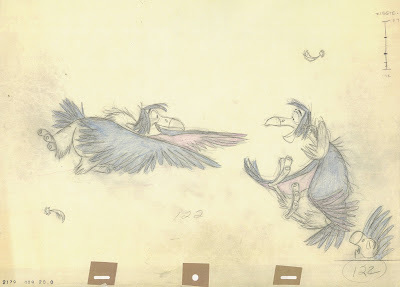 From what I can tell, Milt did about every other drawing, twelve drawings for each second. His assistant (likely Dave Michener) then added in-betweens, so the action would be on ones, resulting in twenty-four drawings per second. 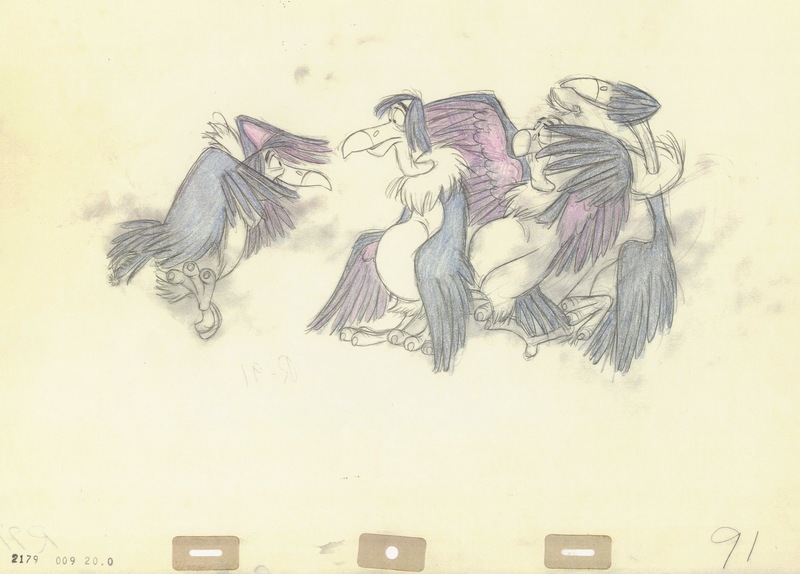 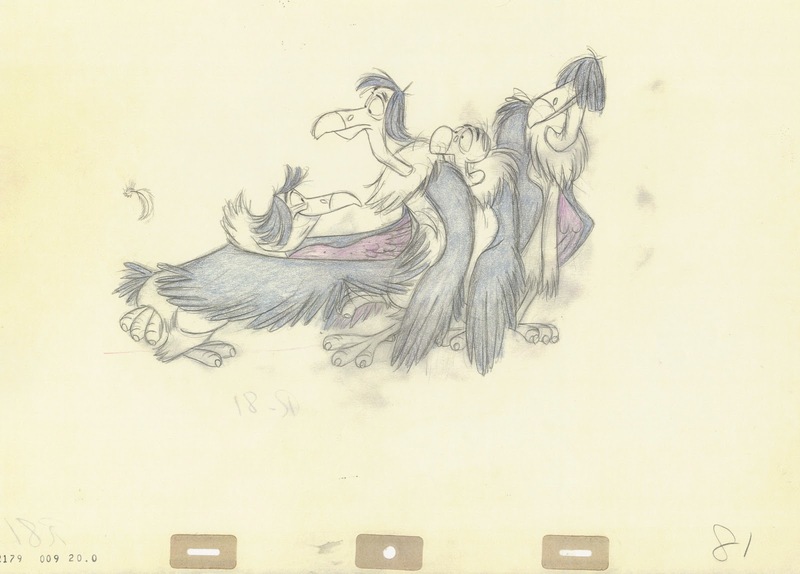 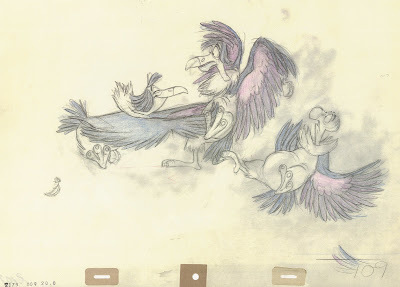 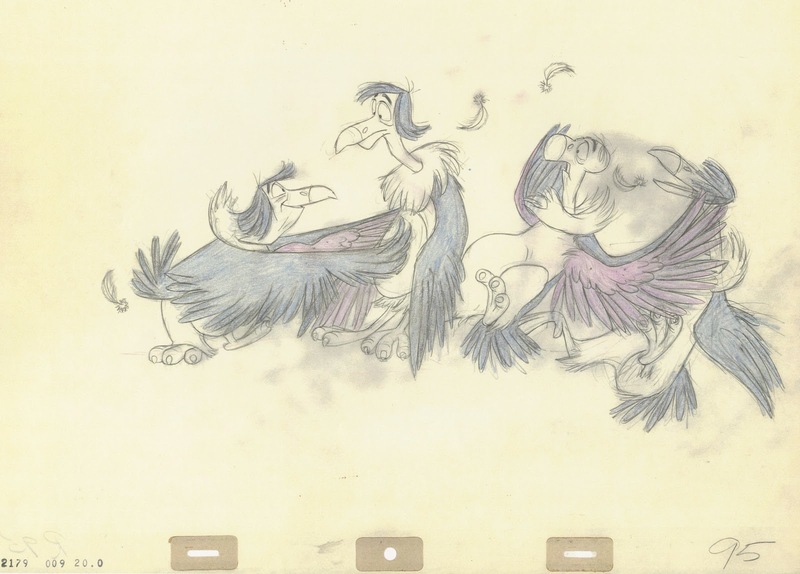 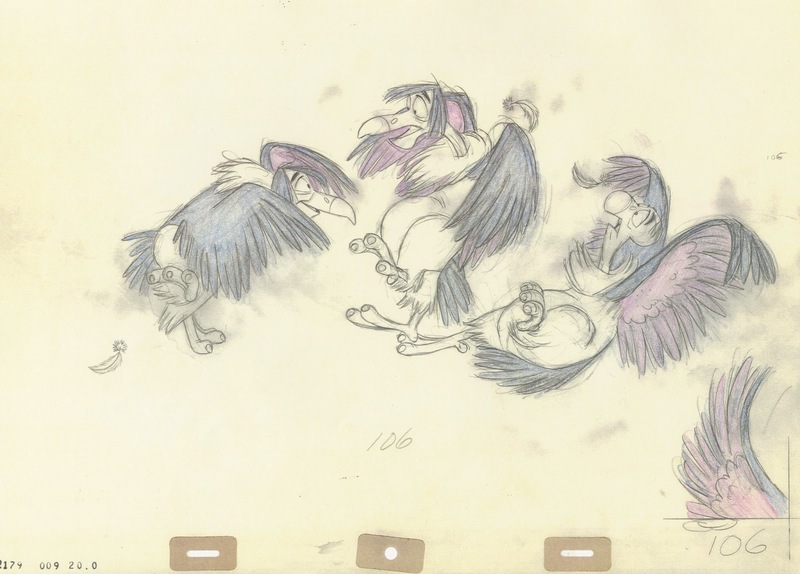 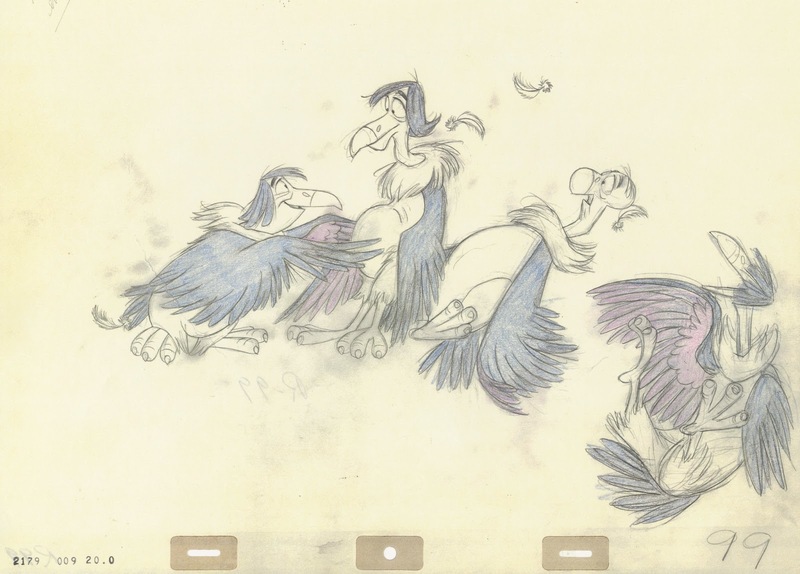 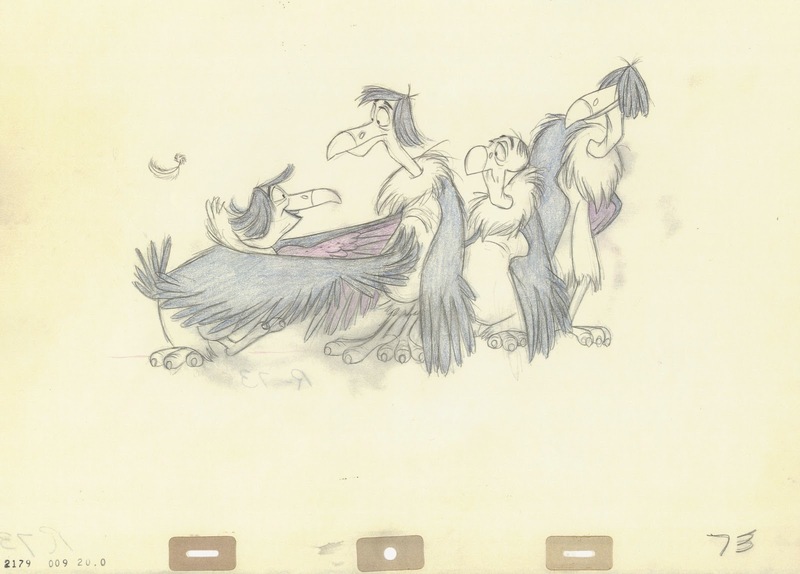 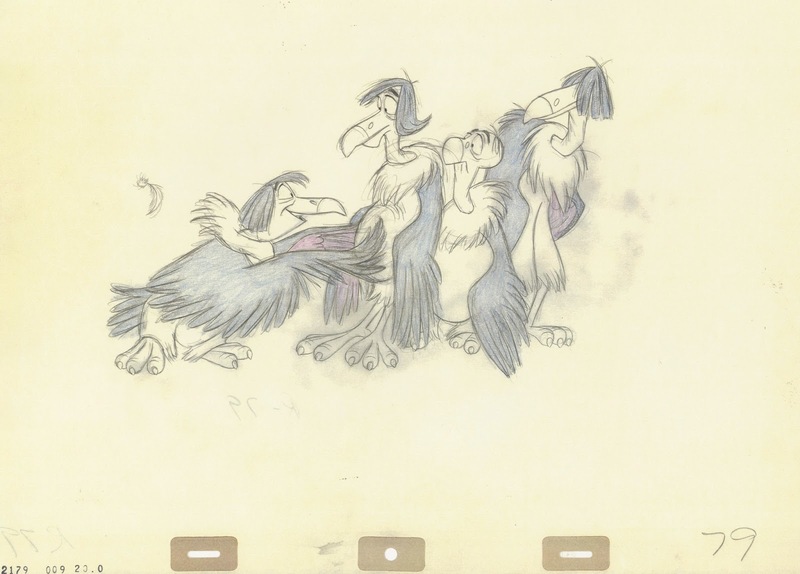 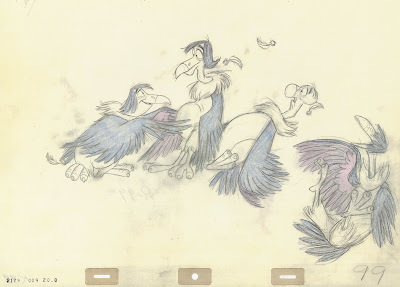 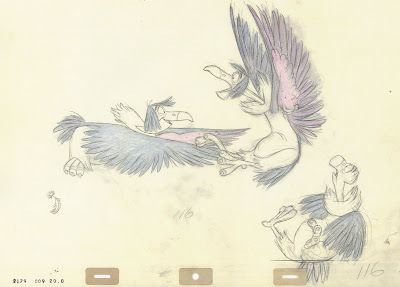 Whatever you think about Milt Kahl as an animator, that man worked HARD! Not only is the intricate animation perfect, each single drawing is a masterpiece in design, and so full of personality!